Park City, Utah and Sensus recently won a Smart 50 Award for their joint work on Park City’s newly efficient water systems. With a complex water network and aggressive goals, the partners worked together to achieve impressive results quickly. Managing Editor Laura Benold interviewed Jason Christensen, Water Resources Manager for Park City Municipal, and James Smith, Product Manager of Smart Water Solutions for Sensus. Check out what they had to say! LB: Tell me about the project that won you a 2019 Smart 50 Award. JC (Park City): Park City deployed the Sensus Smart Gateway at several pressure reducing valve (PRV) locations in order to remotely monitor pressure and flow. The city also deployed a Visenti LeakView™ advanced water system to help locate non-surfacing leaks. Both Sensus and Visenti are Xylem brands. LB: Why was Sensus the right partner for you, and how did you come to work with them to solve the water network challenges you were facing? JC (Park City): Visenti and Sensus were the right partners in part because of Park City’s prior investment in the Sensus AMI remote reading system. This created an opportunity to leverage that investment to do more. The Sensus Smart Gateway allowed us to gather important data and send it back over existing backhaul without the added expense of running 120 volt power to a site and then paying for an additional network backhaul. Visenti was the right partner to deploy sensors in contact with water in our distribution system to help locate water loss due to their advanced system. LB: What is unique about Park City’s water network that others may not understand? JC (Park City): Park City is a mountain community that moves water uphill from 6,000 feet to just under 10,000 feet. This means we maintain a complex network of pressure zones, pressure reducing valves and pump stations to service our community. This also means that there is more embedded energy in our water, and thus an even stronger case for monitoring water pressure and reducing loss. LB: When you were first approached about this project, what are the most important aspects to wrap your head around at first and then, once you knew the problem, how did you methodically tackle it? JS (Sensus): When working on any project, the most important aspect is to understand the customer’s goals. For Park City, the those were to monitor pressure more efficiently and reduce non-revenue water. We then looked at all the available Xylem solutions and selected the ones that best fit their needs. For example, to monitor their PRVs, we were able to leverage the existing FlexNet network and communicate pressure simply by installing our Smart Gateways. The gateways utilize the same AMI network and user interface that the city already uses, so we saw results very quickly. At that point, we were able to monitor pressures and set alarm thresholds for the PRVs. We then kept in regular communication with the City to discuss the results as a joint team. LB: What makes your approach and technology “smart”? JS (Sensus): We believe that a smart city begins with smart infrastructure. For Sensus, that means we leverage the robust FlexNet® communication network to provide as much value as possible for utilities. And that value can take on a number of forms – it can mean helping them to capture more revenue, cut costs, extend asset life, reduce risk, improve customer service or save on resources. Each city is unique, but we have a network that is flexible enough to adapt a number of uses. Our approach is “smart” because we have a strong, flexible network to turn AMI systems into smart utility networks – and solve problems across the utility landscape. LB: Why is the project important? What is the most meaningful impact you’ve observed, thus far? JC (Park City): Water loss and unobserved pressure fluctuations have a negative impact on our customers through increased operating costs due to said loss and shortened asset life. The most immediate impact has been about a $100,000 reduction in operating costs due to the Visenti deployment and reduced loss. LB: How did you approach funding for the project? That can be a stumbling block for many municipalities. What made it possible for you to fund such an expansive project? JC (Park City): One of the great things about deploying the Smart Gateway and pressure sensors is that we did so at a relatively small cost. This is in part due to the prior investment the city made in our AMI system. As for the Visenti system monitoring, the city had calculated the annual operating cost of the water lost in the area where the Visenti system was deployed. This created a “bounty” on what was lost, and allowed resources to be used to reduce loss. Including leak repair in the area, we are looking at under a 1.5 year repayment window for the leak detection project. LB: What did you learn along the way that you wish you knew at the beginning? How would that have changed things? JC (Park City): One of things we learned regarding water loss was the value of a maintenance record, including repairs on service lines. It is something that we didn’t have and likely would have accelerated our discovery of the root cause of the water loss. LB: How can other cities learn from what you accomplished? JC (Park City): I think for a utility that has deployed AMI, it is worth taking a look at that system to see what else that it can do for you. I also believe that Park City’s work is another example of the value of an active effort dedicated to reducing water loss. JC (Park City): It’s an honor to receive this award, and the recognition of the work we have completed with Visenti and Sensus. LB: What is Park City known for now, and what do you want it to be known for in the future? 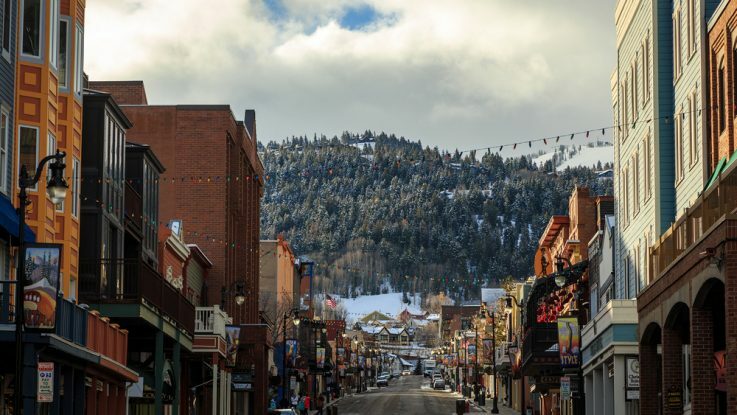 JC (Park City): A former silver mining town, Park City is home to two world-class ski resorts and was a mountain host for the 2002 Salt Lake City Olympic Winter Games. The town of 7,500 also hosts many special events, including the world-renowned Sundance Film Festival and the Kimball Arts Festival. The city is quickly working towards its ambitious environmental goals of net-zero carbon and 100% renewable electricity by 2022 for municipal operations, and community-wide by 2030. The city has increased monitoring of its water distribution network and its efforts to reduce water loss, which factor into meeting Park City’s overall 2022 goals.